2019 is under way already! Members are already busy, in Oxford and in Bonn and everywhere in between! This year we look forward to visiting Bonn again in June! We are a stanza, affiliated to the Poetry Society. Membership is free. We have an active membership of around twenty and another twenty or so who keep in touch. There is a wide range within the group, from complete beginner to experienced poet. Our backgrounds are equally varied. We meet once a month, at 116 Southfield Road, Oxford, OX4 1PA, to discuss each other’s work, hear presentations from members and readings from guest poets. Next meeting: 7.45pm, Monday 4th February. To see some of our other past readings, go here or here or here. Coming up soon… National Poetry Day Thursday 4th October! On National Poetry Day, members of Stanza Two will be taking part in a reading, Infinite Forms, which Sarah Watkinson is organising with Inge and the Back Room Poets at the Natural History Museum, Parks Road, Oxford, OX1 3PW, from 7.00 to 8.30pm. It will be a reading of poems on the theme of Natural History and the Museum’s research and exhibits, followed by an Open Mic. 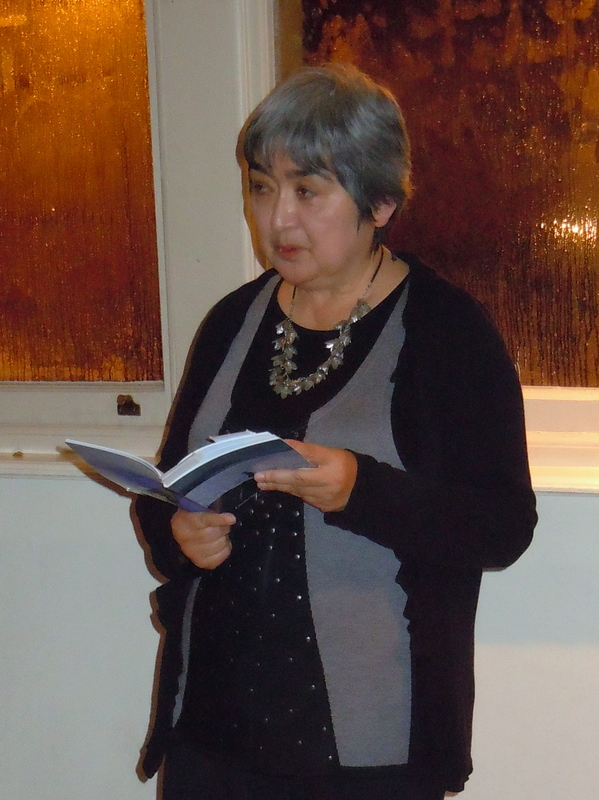 On Sunday 7th October, from 6.30 – 8.30pm, Oxford Stanza 2 is holding a reading, which Dorothy is organising, at the Abingdon Arms, Beckley’s community pub, on the theme of Change. Oxfordshire poet Joe Butler will be headlining the reading and there will be an Open Mic. The moderators of this site reserve the right to delete any comments, but will always explain the reason why … We have never had to do this and we don’t for a moment imagine that it will ever be necessary, but, for reasons of liability, it needs to be said. We’ll do our best to approve comments as soon as possible after they’ve been posted. To post a poem, start a discussion or comment on someone else’s poem, you’ll need to type or paste your text into the Add a comment box on the relevant page. There are three registration options: as a Guest, through your WordPress account, or via Facebook. If you’d like to be notified when someone adds a new comment or replies to yours, tick the boxes. All comments have to be approved by a moderator, so it may take a little while before your comment or poem appears. Please be patient!